Are people clicking through, or is the “traffic” just a remote call to the pinned image? Where are your visitors going? What are they doing? Does the traffic convert? But you need to understand what your traffic is doing in order to accomplish those goals. That’s where your data comes in. (And if you’re looking for a place to start, try Avinash Kaushik’s Web Analytics: An Hour A Day). So is Pinterest traffic worthless? That’s up to you to find out. Major props to Jessica Commins for her valued assistance with the data recon. The insight about making text unreadable when your images are shrinked to 192px (Pinterest thumbnail image width) is awesome. Hadn’t thought of that. Here is some helpful news: I just launched a free WordPress Pinterest plugin day before yesterday that you may want to try. Instead of showing a Pin It button underneath your post, it shows a Pin It button on top of your images, only when people move their mouse over the images. You should get more images pinned with this plugin instead of using a plugin that places a Pinterest button next to the Twitter and Facebook sharing button. Hi Ankesh! Thank you for this new Pinterest WP plug-in. I’m going to try it! Have you got a similar thing for an e-commerce website? I’m also trying to find a good “share” plug-in for WP blog for FB, Twitter, Google+, etc We R running our blog on 3.1.1. Many thanks! Wow, Ankesh! Thanks for the plugin lead! Testing and tweaking works well on any platform. Your Pinterest breakdown proves it. Test, tweak, gauge. Setting specific goals and observing data – objectively – is the quickest way to determine if Pinterest or any other site is worth your site. Using the network as an entry point for squeeze pages makes the most sense to me. Use attractive, compelling headlines to draw in interested prospects and capture their information via an attractive landing page. The formula is timeless, and simple. Surprised that more people do not use it on any social network. Inforgraphics are nice but sometimes are a bit much. A little overwhelming on the senses, or like an assault. I see why a pin leading to straight copy is a bit more compelling and yields more favorable metrics. The formula is timeless, and simple. I found that Pinterest is driving a small percentage of my current traffic, and have converted 1 of those visitors to a lead. Excited to see how it grows. Did the Pinterest first time traffic convert into buyers better than Twitter/Facebook first time traffic? No. Particularly since a lot of the traffic was new visits, where FB/Twitter are often return visits. However, StudioPress is doing fairly well on Showcase pins, since our theme pages are optimized for both new and repeat traffic. It’s about time somebody said something intelligent about marketing stuff on Pinterest that isn’t food or clothes. Thanks, man. I’m sure others are testing this stuff, but there’s not a lot of good info on it. That might help separate Pinterest from the pack and keep it useful from a business perspective. It gives your content more time to “live” and still engage your audience. Most other social networks don’t work that way. That’s very true. If you plan for the traffic, and test what’s happening with it, you can keep benefiting from it. Pinterest seems made for a business like mine, an online gardening magazine with lots of pictures. Pinterest seems to provide the audience of gardeners, especially local gardeners, that I’m looking for, but not really finding in Twitter. Because my resources, including time, are limited, I have been thinking of dropping Twitter from my marketing plan. When I first logged onto Pinterest, I found many images from my magazine, Buffalo-NiagaraGardening.com, were already being shared, and I’ve been happily pinning pictures for several weeks now. However, this article tells me that there is so much more that I can be doing to drive folks from Pinterest to my magazine. Thanks for the great guide! Thanks for the perspective and the thought to hold all marketing accountable. Great work. Great post. I’m – probably like many of us here – just playing around to see what i can make of Pinterest. Good to get some solid info and tips on what I should be looking to do with it! I am starting to think that Pinterest traffic isn’t worth my time. I recently had a post that I felt really good about. I posted it on Pinterest and almost immediately got 20+ repins. Unfortunately, almost none of that turned into traffic. My thought is that there are 20+ more links back to my blog, so maybe it’ll turn into something someday. I realized that I used a really nice picture in my blog, so I’m starting to think that people just repinned that picture without clicking through to read my blog. The one thing that ALL have in common is taking that traffic and turning it into an email lead for direct, one-on-one, uninterrupted contact. Once you get your prospects away from the new, snazzyy, and overly ADD sites, you’re bringing them to a place where you can make long-term money through a relationship and not beating them to death with link ideas to click on. The one thing that ALL have in common is taking that traffic and turning it into an email lead for direct, one-on-one, uninterrupted contact. Absolutely. It also weeds out people that _aren’t_ interested in what you’re selling, which makes your leads more golden. Great blog post Sherice. Thanks for sharing. mmm, I think the title belies the purpose of the community that is Pinterest. I mean thinking in terms of people, the Kotex Pinterest case study http://blog.getsponge.com/pinfluence-the-story-of-how-kotex-used-pinterest-to-get-key-influencers-behind-their-brand/ shows how being benevolent pays advocacy dividends. True. In fact, I know more people who use it for fun than for business. But there’s this “new traffic source” mindset that comes around every time one of these pop up, and businesses jump on it without bothering to see if it’s worth their time. One of the reasons I pointed out the brand building angle is because that’s another area ripe for exploration. I’ve noticed that Pinterest is great for traffic. I haven’t tried conversions yet, as I am using traffic based advertising model for revenue. I’ll have to look more into that! I’d pretty much given up on Pinterest traffic due to the high bounce rate you cited. It seems a lot like old StumbleUpon or Digg traffic to me – people mindlessly surfing, not particularly engaged. Although, you make a valid point in that it’s our job to engage them (something I seem to recall Jon Morrow talking about recently w.r.t. audiences in general). If you guys are having luck with conversions, maybe I should reconsider my approach instead of writing it off. Yes, it’s definitely like Digg and SU. So using similar strategies — seeing where your traffic is coming and going, tweaking and optimizing the landing page, etc. — applies. And if your tests/data show it’s not converting, you can adjust accordingly. It is something I havn’t added myself to yet as so muchn ‘next best things’ seem to disspoint me and then get drenched in spam and other awful things. If it is managed and policed right then It could be very powerful? My stats almost mirror yours. A lot of traffic, not much engagement. Tweaking! Most of what I see on Pinterest are Food, Fashion and Home decor related images. Does it mean internet marketers can’t find a place there? BTW: your data speaks volume and I like the way you presented everything. I better get to work and track the traffic I get from Pinterest – who knows, I might increase conversion rate from repeated visitors. Compelling argument. What likely stops a lot of service based companies from putting their weight behind Pinterest is coming up with the concept of how to present their content. Your idea of making images and infographics the key pieces of your Pins makes sense for getting click throughs. Very comprehensive post! I’m going to review my click routes for my Pins. I was thinking of making my pins bigger, but now on reflection I’ll leave well alone. I like the idea of the plug-in suggested by Ankesh & will be looking into this! Thank you very much Tony! It’s another way to network- I get it. But with all the issues I’ve read about Pinterest and copyright infringement/ intellectual property, I was and am still hesitant. Nobody really wants to talk about that too much it seems. Until someone gets sued. Pinterest is a great traffic source for my blog, and many of my friend also consider it is an awesome way to get more traffic and even income stream to their blog. Thanks for great article, Tony. I find people pin my submissions but don’t actually visit my site. So yes, it is worthless. 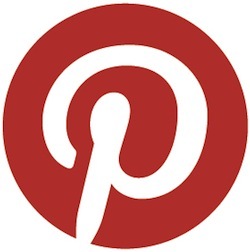 You don’t get any traffic from Pinterest if you don’t have active followers on board! So its worthless pining without followers to repin it. But having other people pin is often where the traffic comes. We were getting a good influx for StudioPress from fans pinning stuff, before we even had an account. Thanks for sharing Adam. Interesting data there. One of the unique things about Pinterest is that it stores the information for later browsing (which also increases analytic difficulties). – For instance, if I pin a food picture, it may be another week until I come back to my board and click through to the website to see the actual recipe. Then if I make the dish and enjoy it, I might come back again to search through the site for more recipes. – If I pin a springtime dress in fall, it may be months before the retailer actually sees me click-through to their website to purchase the garment, or search for more like it. – If I pin a list of helpful grammar tips, I might not click-through for more helpful content until a specific need compels me to, like needing to write a resume, or school assignment. The longevity of your marketing ability is very different from Twitter and Facebook for example. The links to your product/site are stored on my boards and I can come back and access them anytime I want. What you may not be able to tell is the value of my one pin, to the amount of interaction that I actually get from your site over a undetermined span of time. Also, the benefit there, is repeat traffic tends to convert better. So tracking your conversion path for repeats vs. new is a good way to see where you need to optimize your landing pages. I’m still looking at my analytics to see if these people are joining my list at a similar rate as others. Here’s to more data geekery! I half agree with this post. I think the worth of Pinterest traffic really depends on what your site is about. For example, I’ll bet that photographers, furniture and clothing stores get a lot of great quality, converting Pinterest traffic. But I could totally see how a site like Copyblogger – which is more informational and less pictorial – would get not-so-great traffic from the site. As for my niche site, I”m fairly happy with my Pinterest traffic. It’s pretty “sticky” and the bounce rates are low. The sharing site I have trouble with is StumbleUpon. I get tons of traffic from them but most of it only stays for less than 30 seconds. We so very much want to believe that all traffic is the same. We fool ourselves because it’s easier to see 1,000 or even 10,000 page views as something amazing. When in reality it’s up to us to do something with that traffic. It’s nice to have a spike of visitors, but if they aren’t engaging with the content or moving down the funnel then it may as well have never existed. This is where digging in and seeing what is really happening that makes the difference between reaching goals or just gliding along. That takes curiosity and a lot of effort. If a blogger looks at what is happening after the reader/viewer arrives then s/he can adjust how s/he engages and converts. For us, Pinterest traffic isn’t worthless. We’re a small, growing site — and I’ll take stratospheric spikes in traffic, along with the challenge of understanding what happened, why, and what to do! Wonderful article!!! What about the SEO benefit of the link from Pinterest? Sure, it’s short-sighted (people won’t keep pinning you if they don’t find your content useful), but it’s a benefit to take into account. I think people are being blinded at the moment. Pinterest came out of nowhere for a lot of people and just slammed such a huge amount of traffic in their faces. I’d say people are still in a “traffic shock.” But you’re absolutely right…as with anything, if you don’t turn it into a lead of some nature, what’s the point? After a couple of days of thinking about this, I now completely disagree with the main point of view — that Pinterest traffic is worthless. It reminds me of my experience at trade shows, and the conventional wisdom among vendors that you ONLY want people in your booth who are likely to buy. One example? Kids! They aren’t customers at most shows, so many vendors ignore or even shun them. I felt that was short-sighted. I wanted my booths PACKED, with mobs of people thronging around. So I’d take a product and it’s main message and develop a wild game out of it — and WELCOMED kids. (Guess what? Kids have parents who ARE customers!). I believed sales would come — and they did, in spades! Most other vendors just didn’t see it. I’m sure they had better “conversion ratios” per visitor, but their booths were often half-empty, while the crowds around my tiny booths would often block the aisle and sometimes dominate a show, even one with giant brand names present! My point is that saying Pinterest traffic is worthless because it doesn’t immediately convert, or convert in a high “ratio” — well, it feels short-sighted to me — like saying kids are worthless in your tradeshow booth. All that said, I love this well-written article, which had a strong “take” and really got me thinking! Cheers! Interesting food for thought Tony. I particularly like your strategy of making the text too small to be read on Pinterest, thus encouraging click thoughs to be able to read the infographic in full. I guess that next step there is to make sure that your sales funnel is capturing that traffic to move them along it, from a mere browser to a prospect then customer. Thanks for showing us behind the curtain Tony, that’s really valuable information and illustrates perfectly how to use any kind of traffic to your website. Cheers! Tony, thanks for the great post. A lot of time people just look at the number. There are so much more behind those number. Good reminder. Thank Tony. I wasn’t that crazy about Pinerest because of its TOA and copyright issues. But your article helped solidify my decision to avoid this new social media. Targeted traffic is the key to converting clicks into sales, not just a lot of traffic. Cheers. One thing folks seem not to notice about Pinterest – it takes time! So many people dip their toes or take a shot at building pinboards without first watching what others are doing, then give up when it doesn’t work. I spent weeks researching this platform for a blog post I just wrote, and the potential is amazing! Stick with it! Pinterest is one of the most fun, and most “stick” SM sites out there. I am sure that many things can drive traffic if used correctly to leverage your brand. Again, it all comes down to having a good system/funnel on place and providing real value to get the best of results. Thanks for the tips.